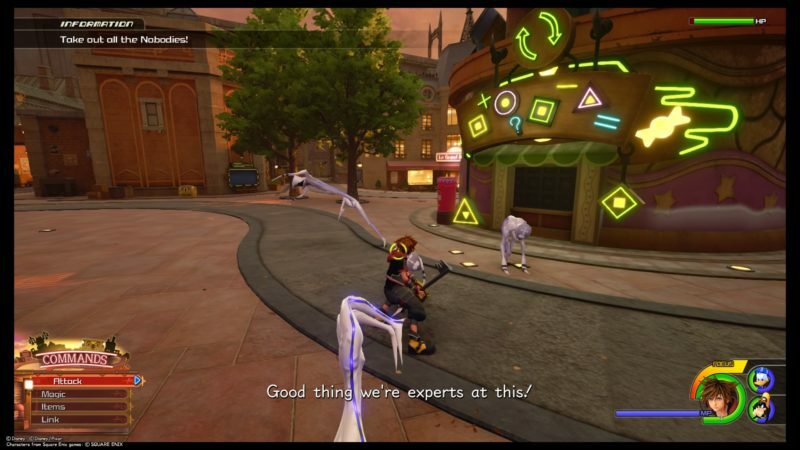 Twilight Town is the second chapter of Kingdom Hearts 3 and you have to get here using your space ship. 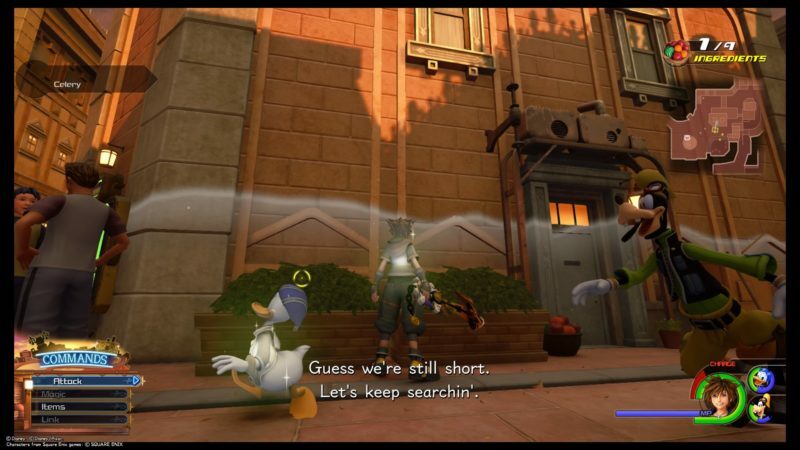 It’s not the first time Sora came here but this time, the whole purpose is to find Roxas. 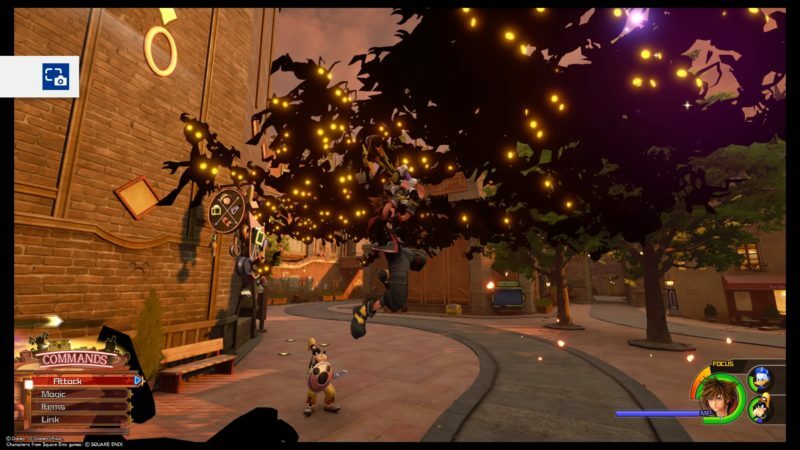 Here’s a walkthrough and guide of Twilight Town in KH3. As you enter the town for the first time, you’ll be greeted by a couple of Nobodies. 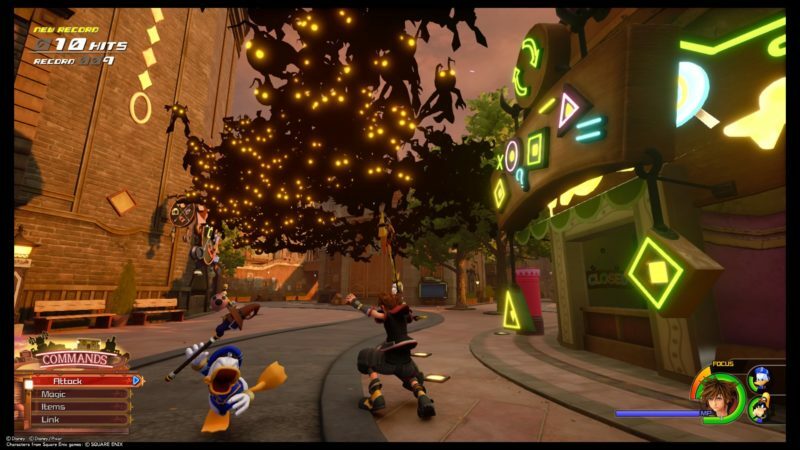 After defeating them, you will see Olette, Pence and Hayner running away from a swarm of Heartless. 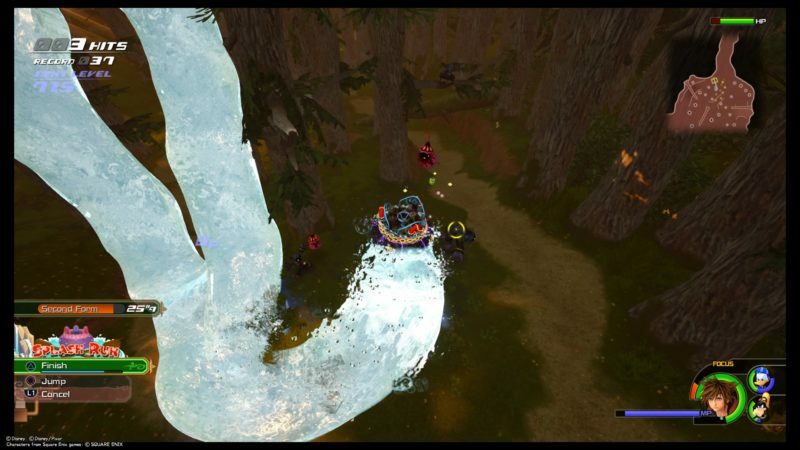 This fight is much tougher than the Nobodies as it’s a big swarm. It’s flying most of the time, and you have to aim at the “head”. Keep jumping around and attacking it. 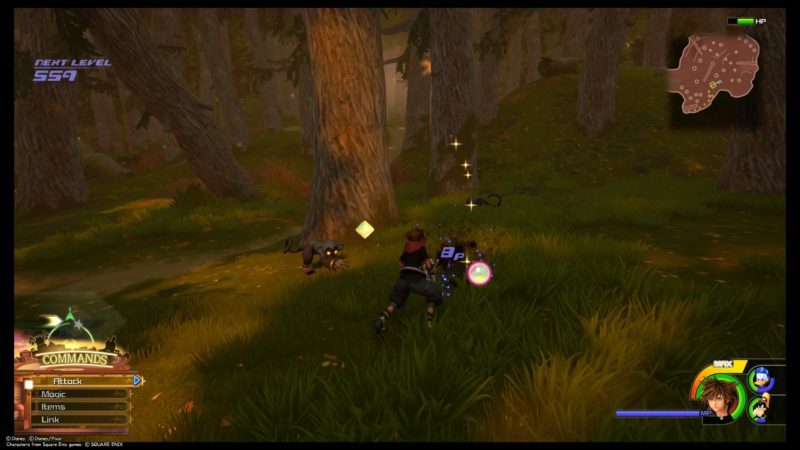 You can use airstep to get close or even ragnarok for ranged attacks. 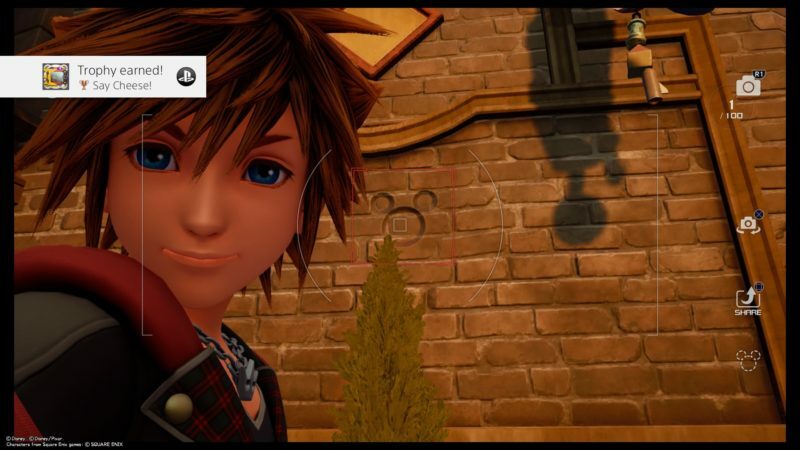 After defeating the Heartless, a cutscene loads. 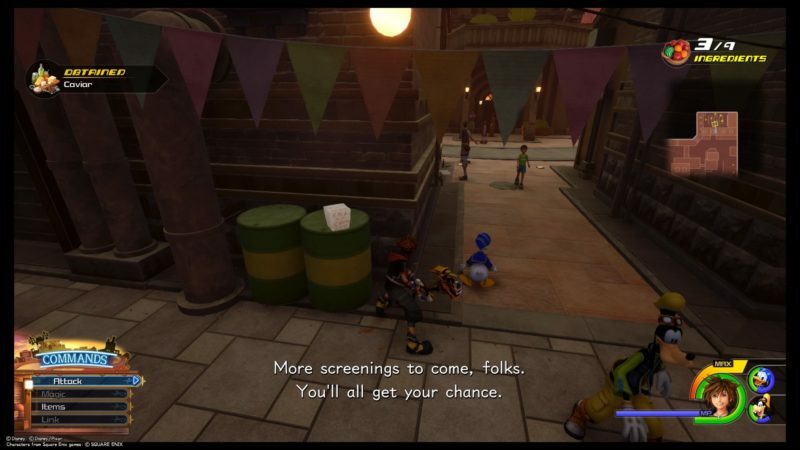 You will meet up with Hayner and the rest. 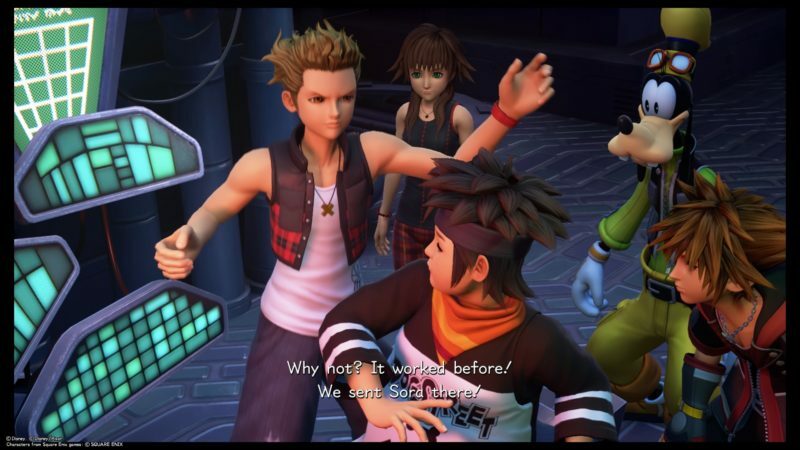 Hayner and the rest will ask around town for information on Roxas. 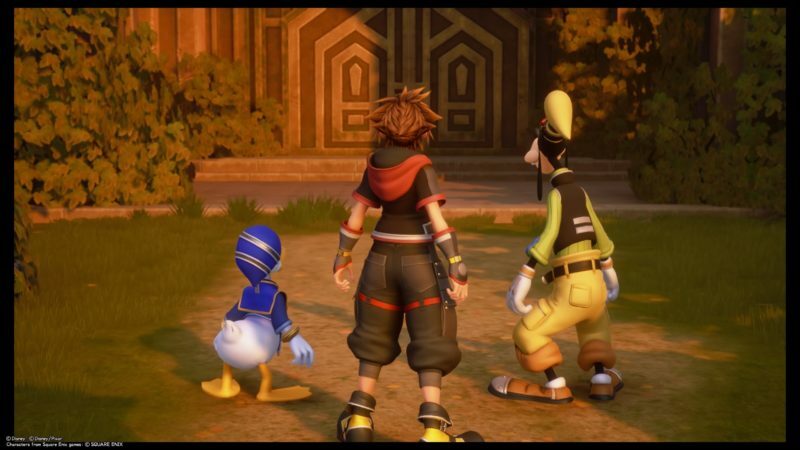 You, Goofy and Donald will head towards the old mansion. 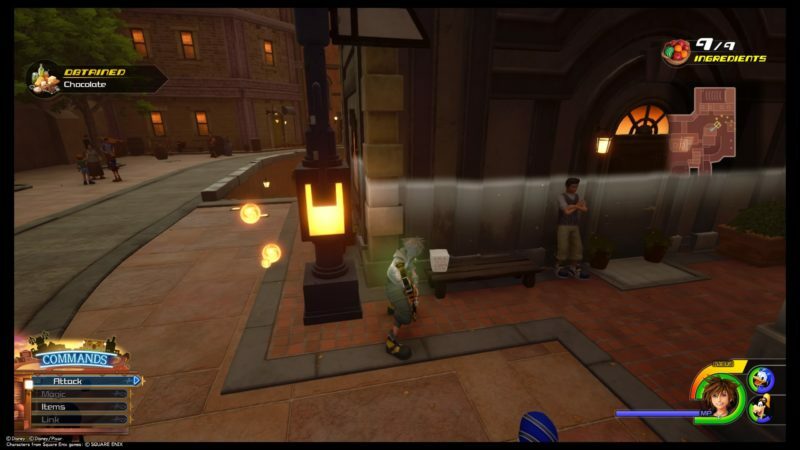 Before that, try to look for all of the treasure chests and lucky emblems that are around town. You will also be taught how to use your camera. Just nearby where you start, you should see a chest. You will get the map of the neighborhood. Also in town are two different shops. One is the regular Moogle shop. The other is a shop run by the Ducks, where you can buy stuff for your spaceship. 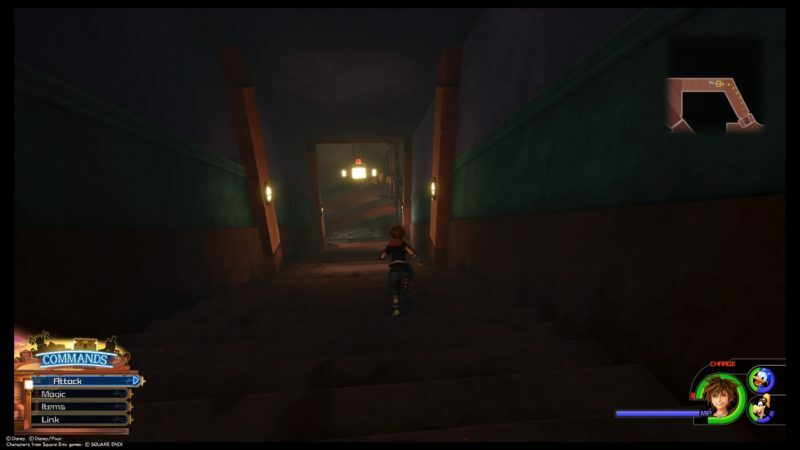 To get to the old mansion, you need to go through the sewers. You should find the opening at one of the sides of town. 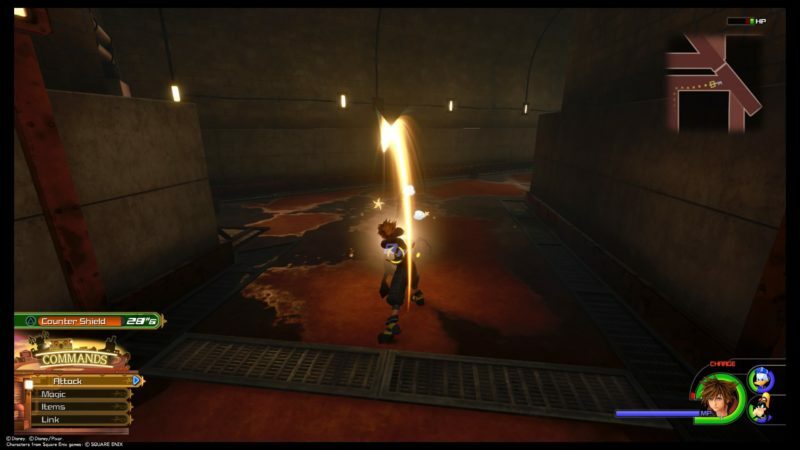 You will encounter even more Heartless inside. They aren’t that much of a threat. After coming out of the sewer, you will be greeted by this forest. 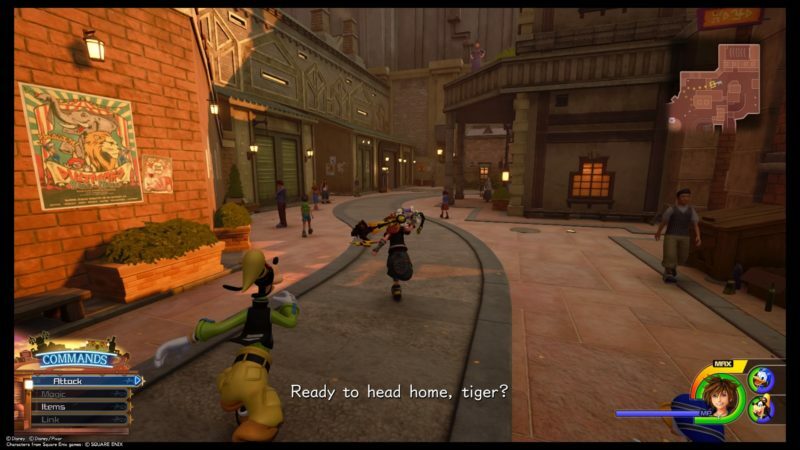 Walk into it and you will have to face even more Heartless. 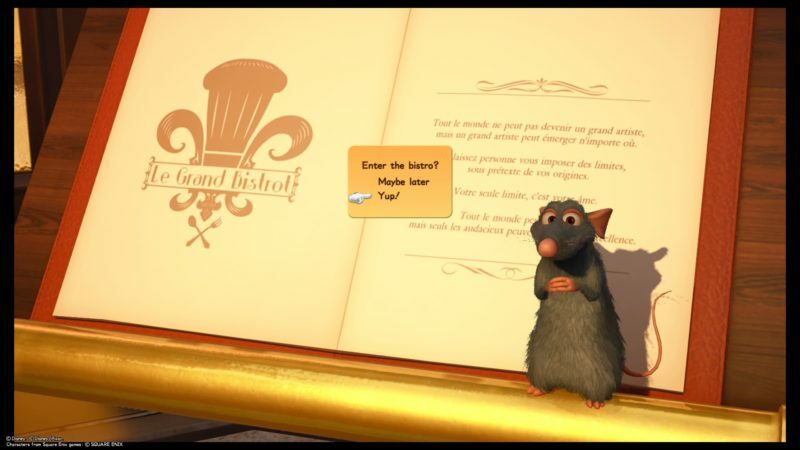 This time, you’re saving Ratatouille from them. 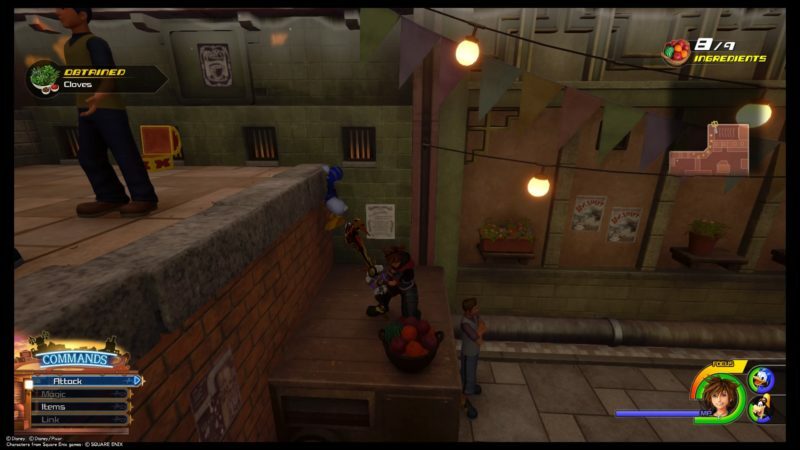 Ratatouille will ask you guys to pick up the fruits as well. 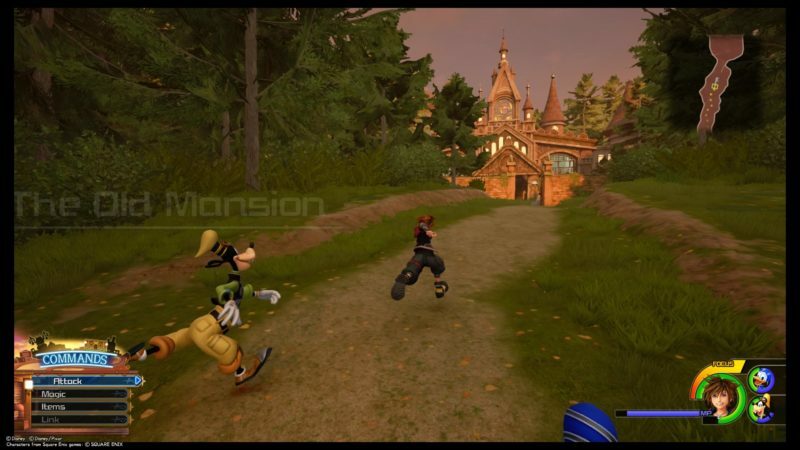 Continue your journey towards the mansion. 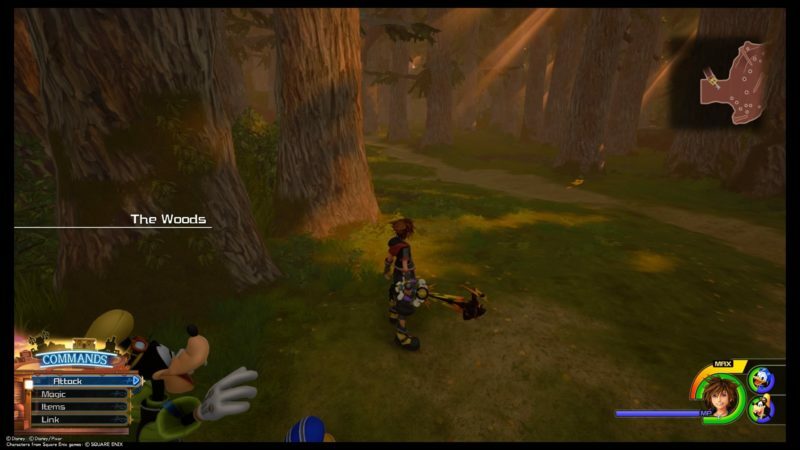 There are more treasure chests and lucky emblems inside the Woods. 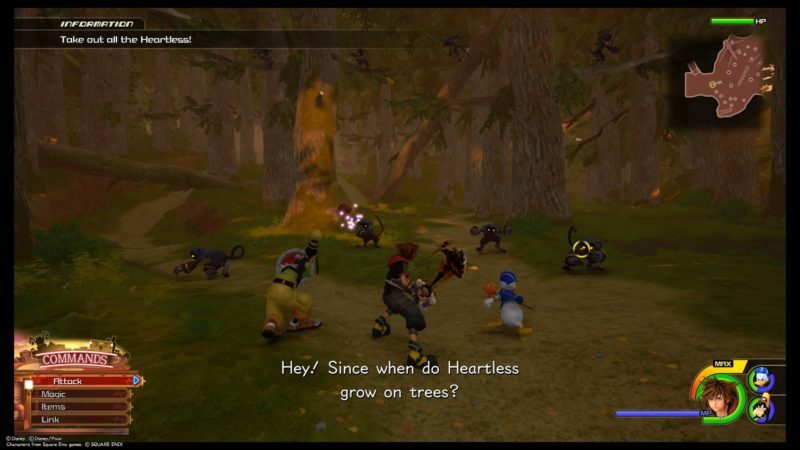 Similarly, there are even more Heartless. 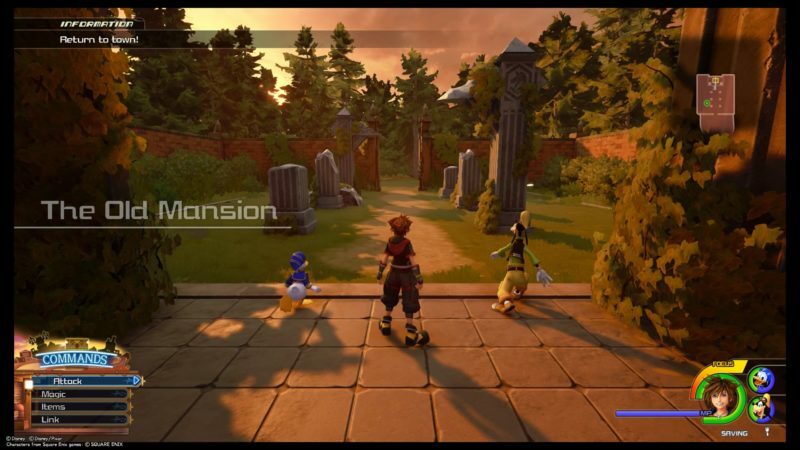 After defeating all of the Heartless, head towards the mansion. 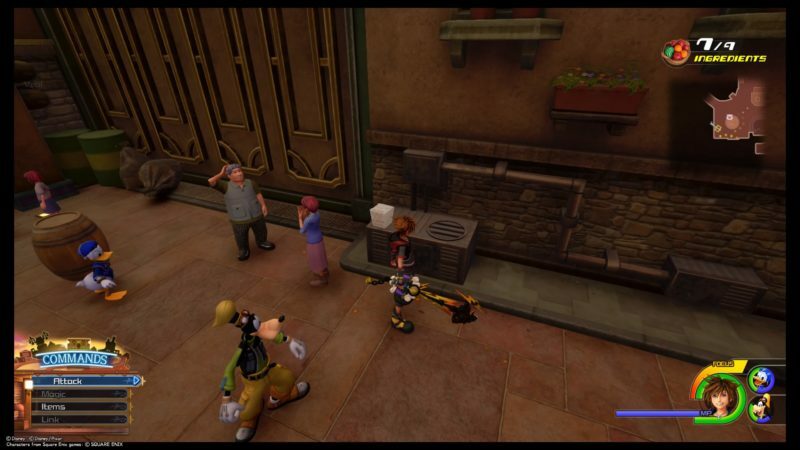 There’s a Lucky Emblem and a chest here as well. Go towards the door and a cutscene will load. 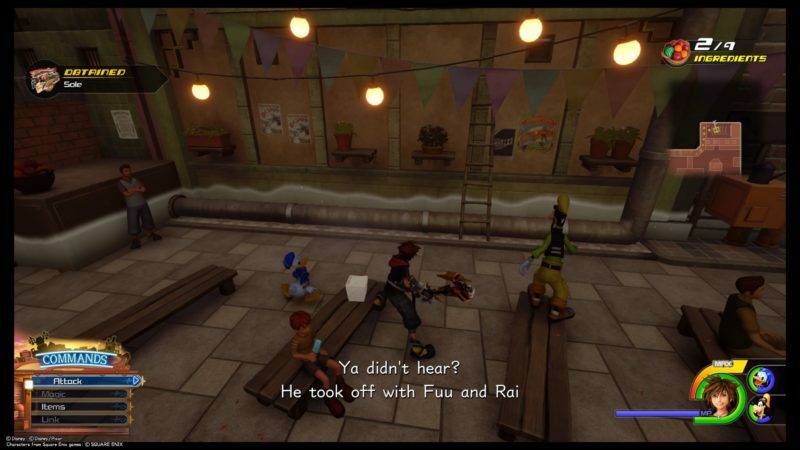 You will meet up with Hayner and the rest again. 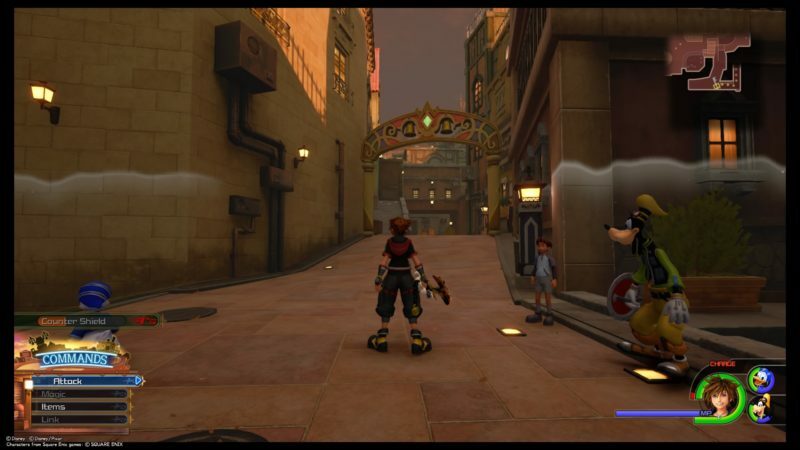 This time, Pence will try to open the terminal to get to the “other Twilight Town” as Roxas is apparently there. 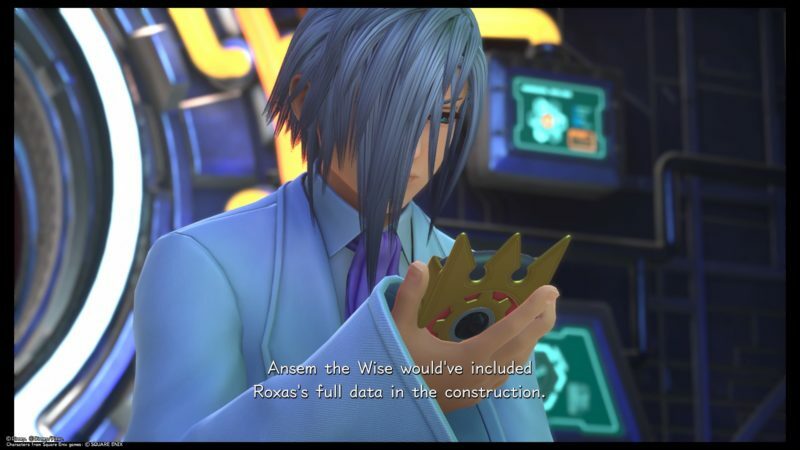 It clearly didn’t work and Sora will get a call from Ienzo. Perhaps he is able to help. 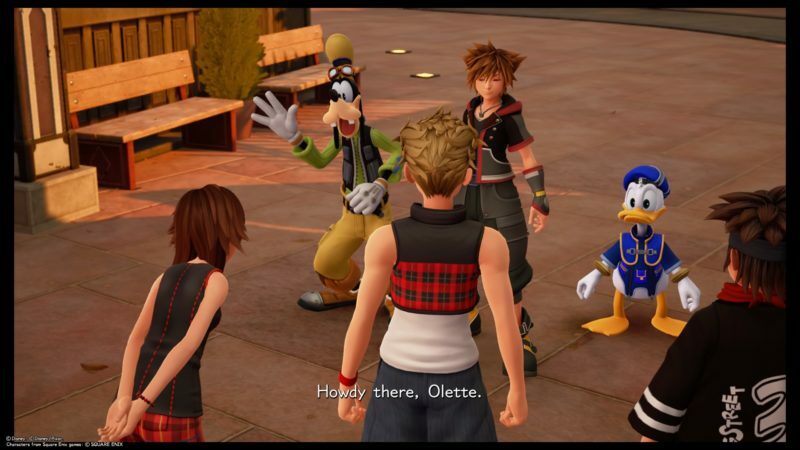 After the cutscene, you have to return to town. 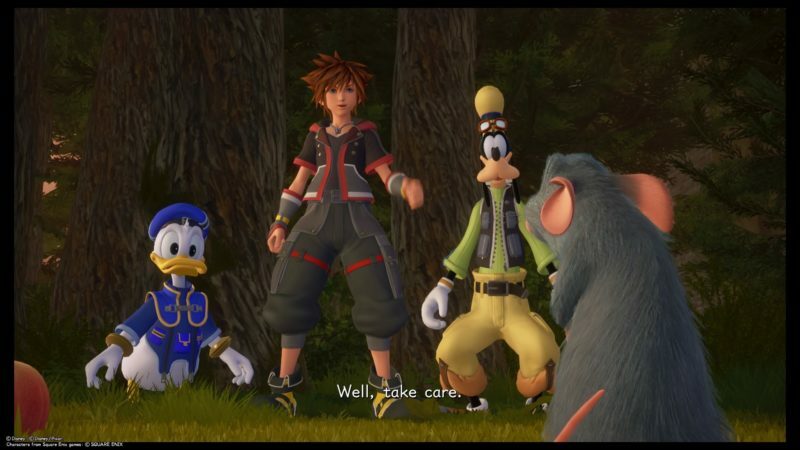 Walk back and there’ll be another cutscene. 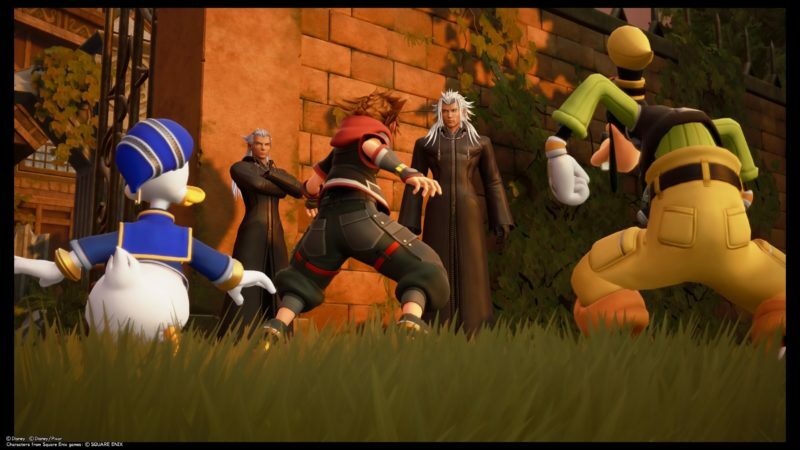 This time, Ansem the Wise and Xemnas shows up. 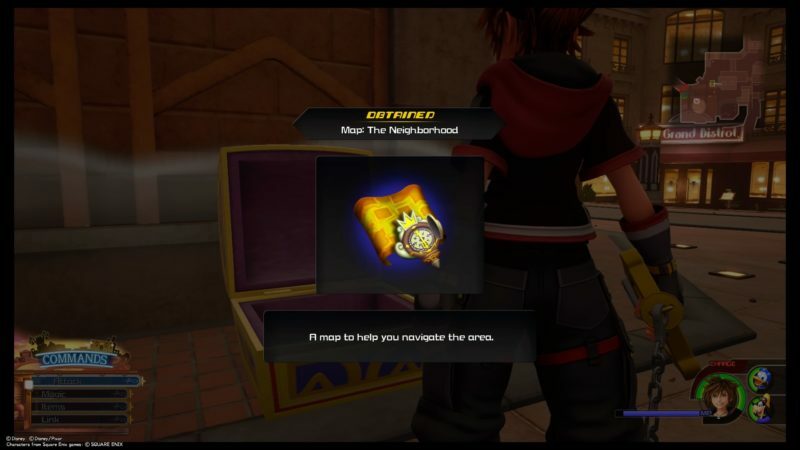 They told Soras that he probably have to give up his own heart if he wishes to save Roxas (even if that’s possible). They summoned Heartless and Nobodies, and disappeared. Defeat all of the enemies. Once you’re done, continue back to town. 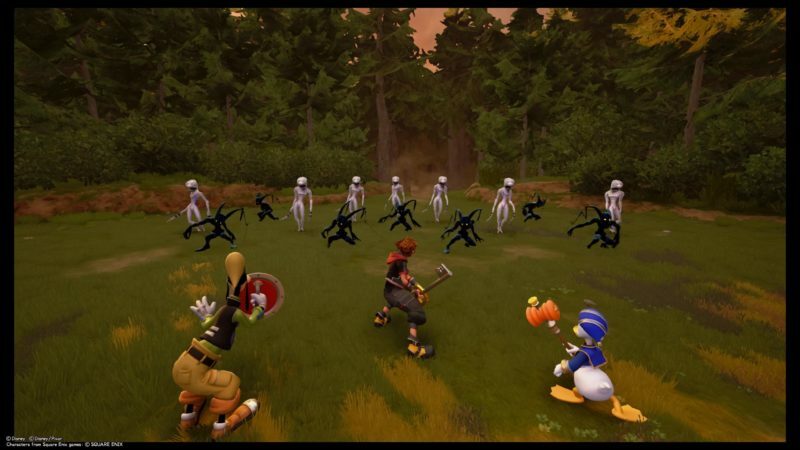 You will face more Heartless inside the Woods again. Go back through the sewers, exactly the same way you came from. 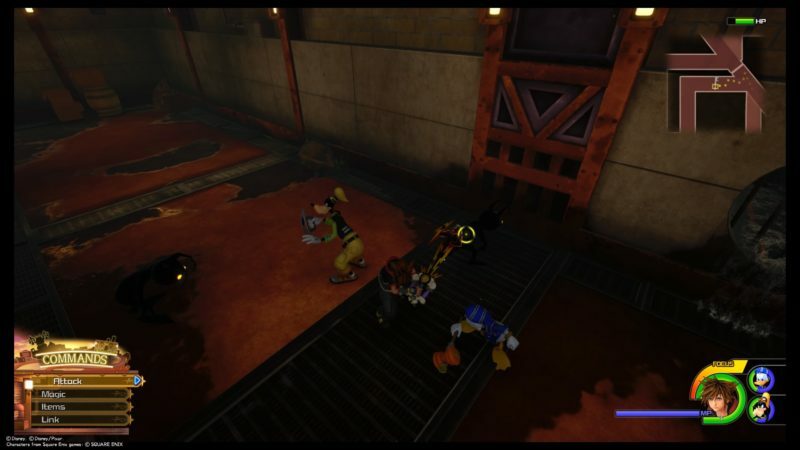 You will encounter more Heartless in the sewers. 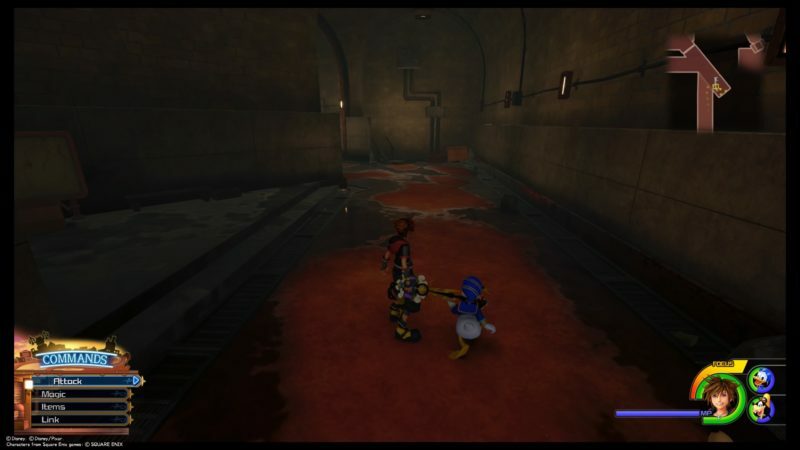 As you get out of the sewers and go forward, a cutscene loads. 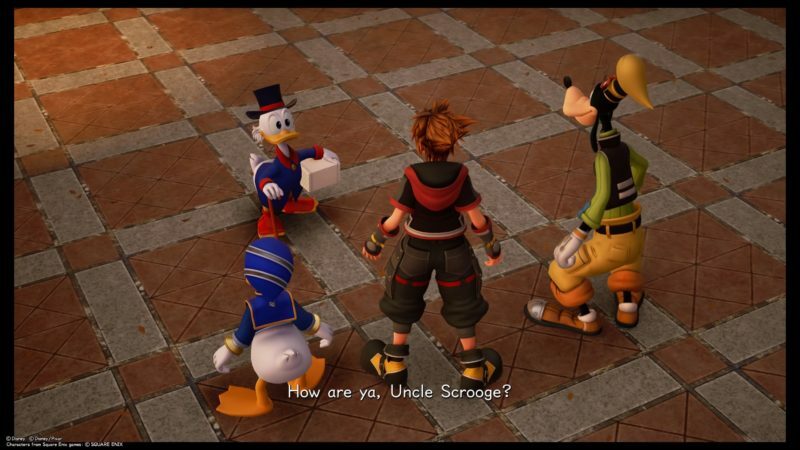 You will then be introduced to Uncle Scrooge who apparently runs the bistro in town. 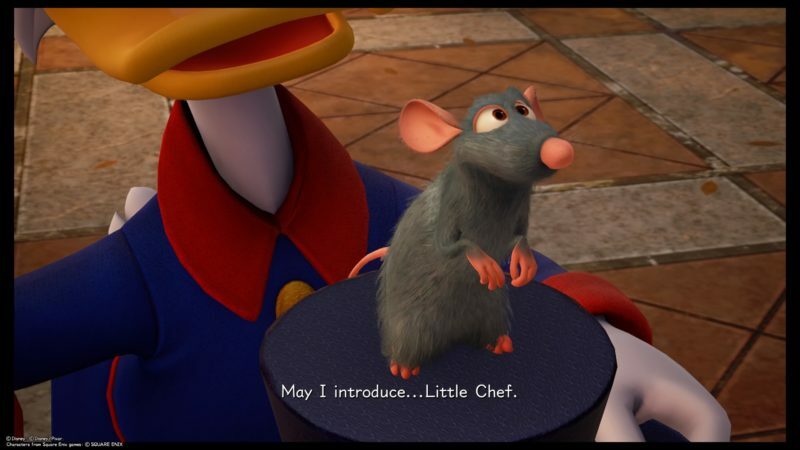 Ratatouille is the chef in the bistro. 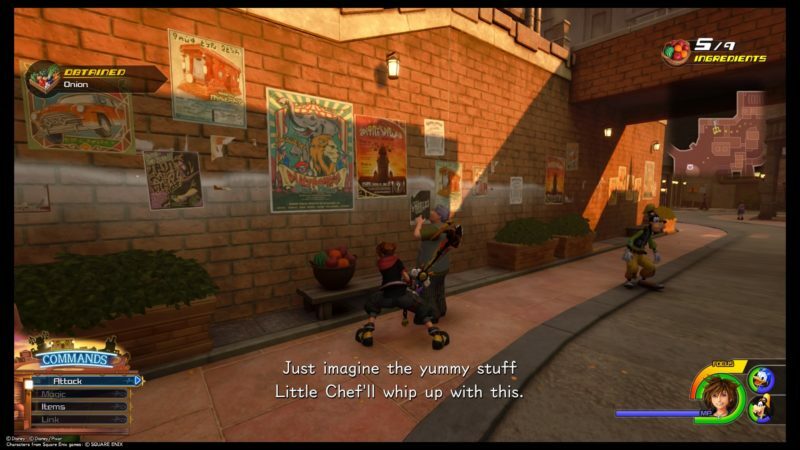 Now, you need to look for ingredients all over town. The ingredients are normally in fruit baskets or small white boxes. Just break everything you see in town and you will get all ingredients. 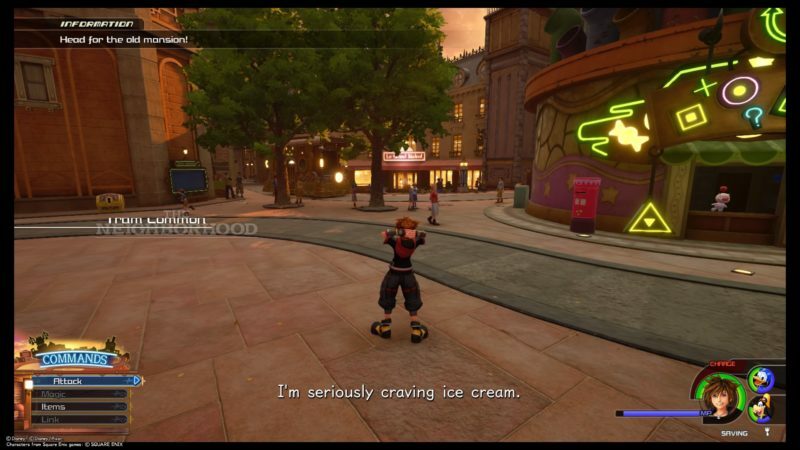 Otherwise, you can just look at the screenshots of where I found all nine ingredients. 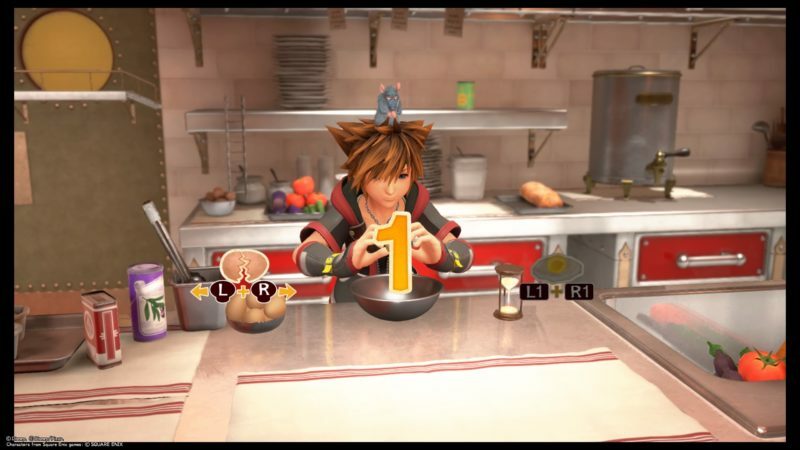 After finding all of the ingredients, a cutscene will load. 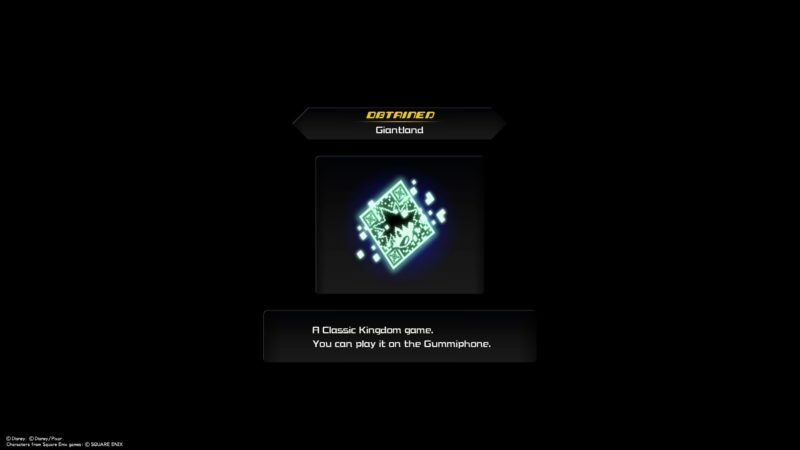 Hayner and the rest will promise to wish for Roxas to come back. 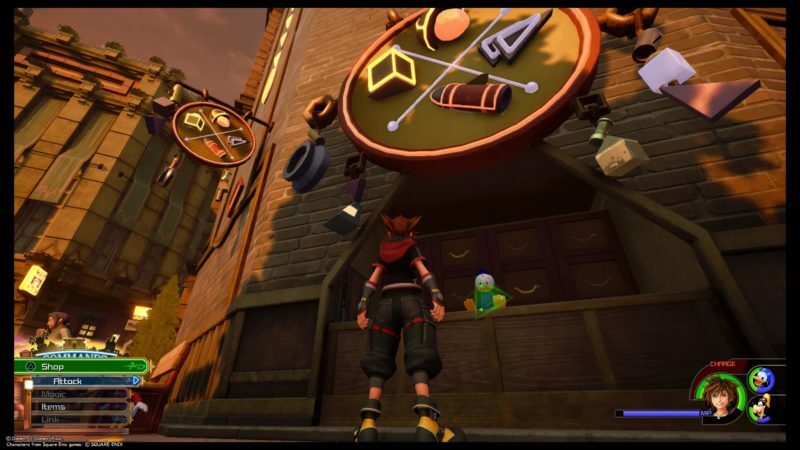 Twilight Town completes here. You will get a new mini game called Giantland. 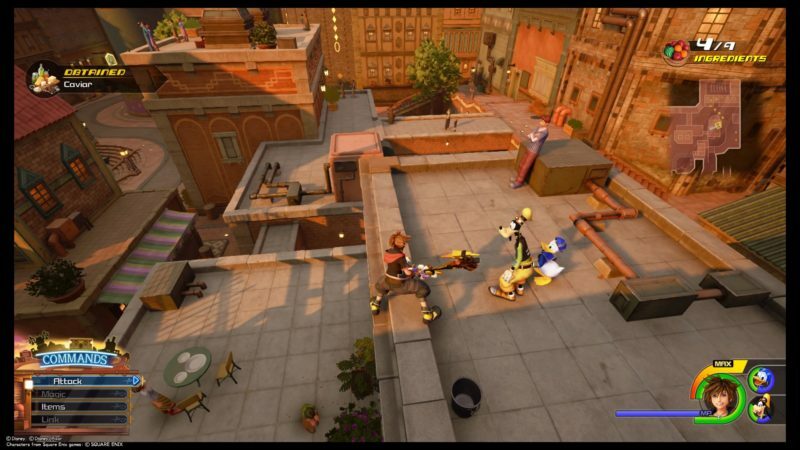 You will also be given a new keyblade – Shooting Star. 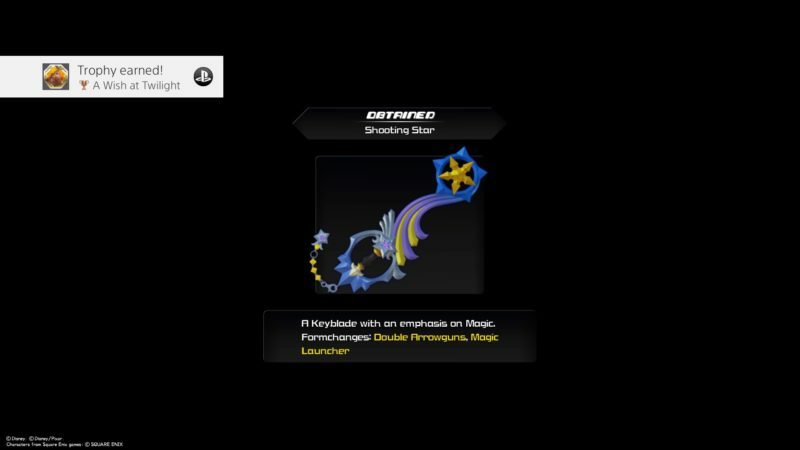 This keyblade puts emphasis on magic abilities. 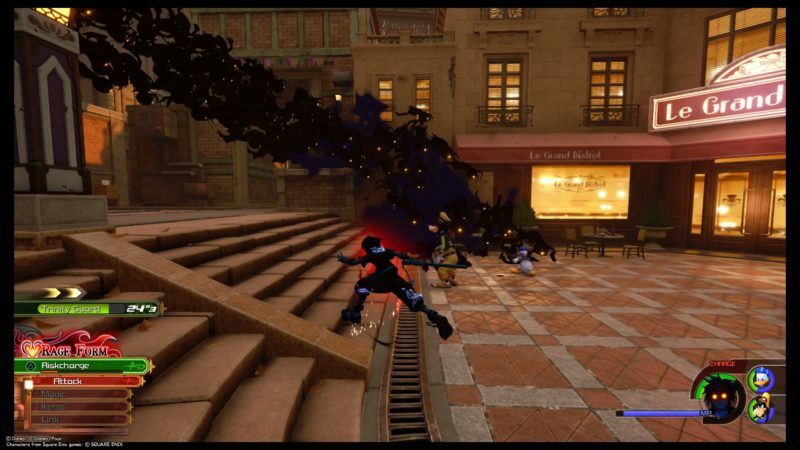 You can head back to the world map after this, or you can stick around to look at Le Grand Bistro. 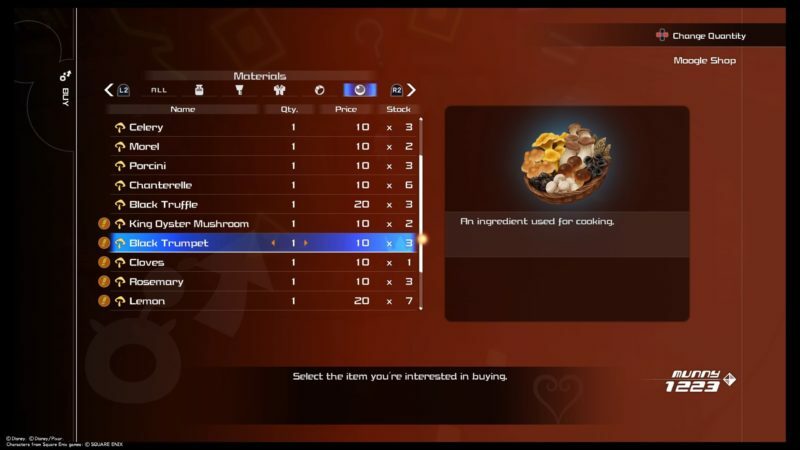 This is a new feature where you can cook meals. 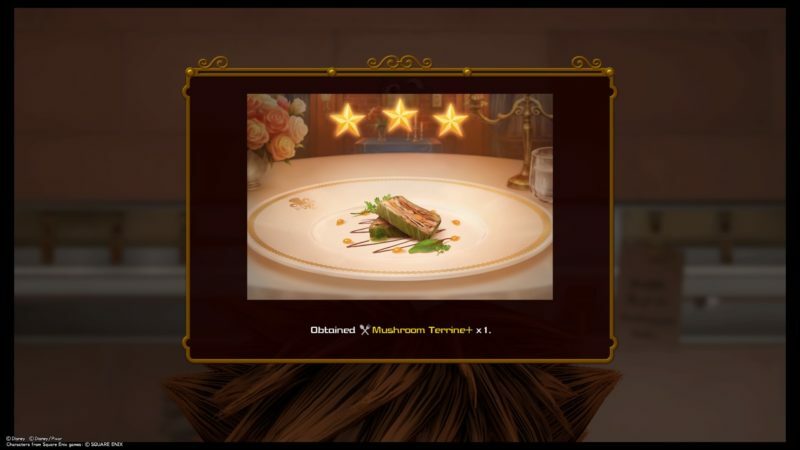 Eating these meals will give temporary bonus stats. Enter the bistro to start cooking. 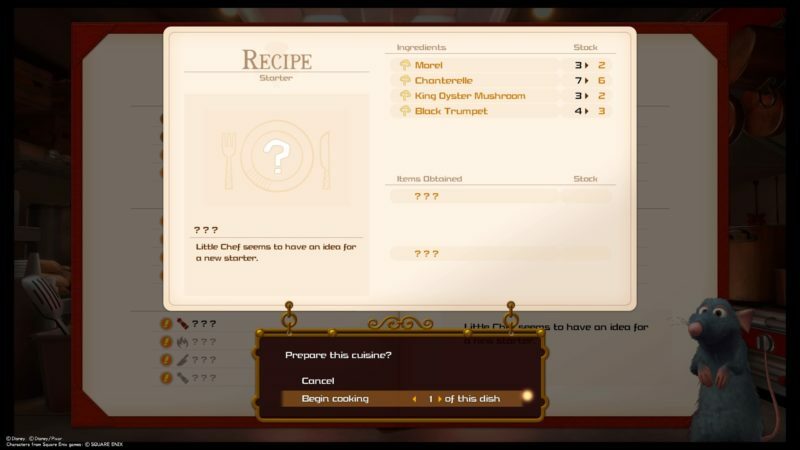 There will be many recipes, but only some are available, as you have the ingredients for them. For e.g. this Mushroom Terrine requires Morel, Chanterelle, King Oyster Mushroom and Black Trumpet to make. The unique thing is that you have to make it yourself. 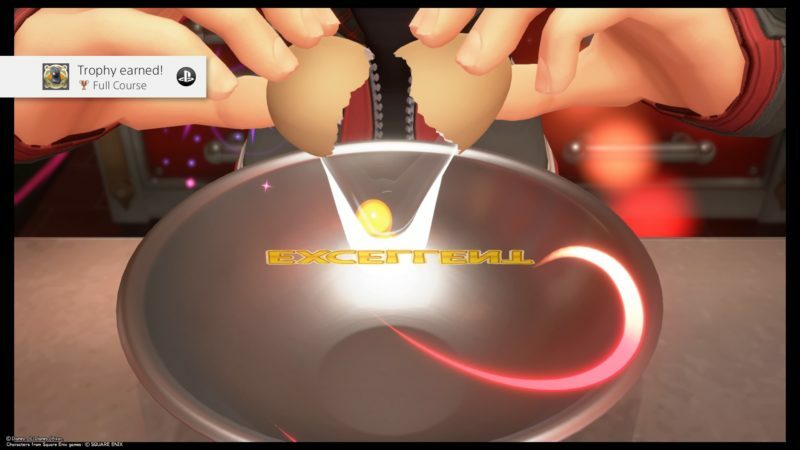 You need to learn how to crack the egg using L3 + R3 and L1 + R1. If done properly, you will get an Excellent remark. 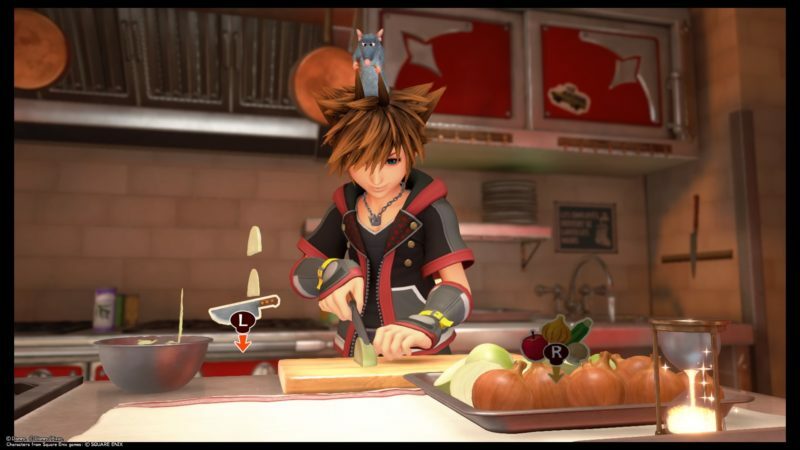 You can choose to cook other dishes as well. I cooked another dish and I had to chop the onions. 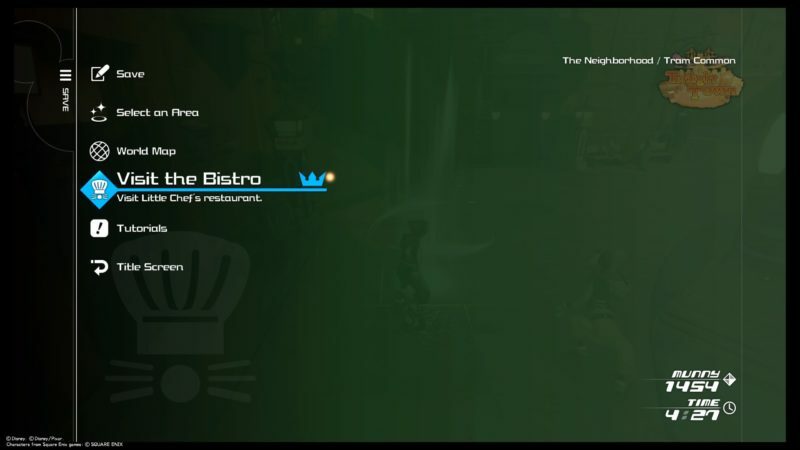 The Bistro is now available at save points. You can probably visit it even if you’re in some other world. 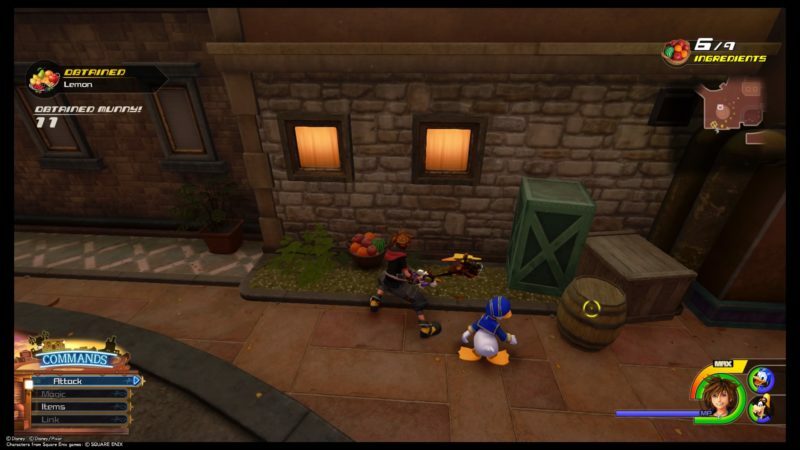 If you need ingredients, you can get it by destroying those boxes or baskets. You can also buy them from the Moogle Shop. 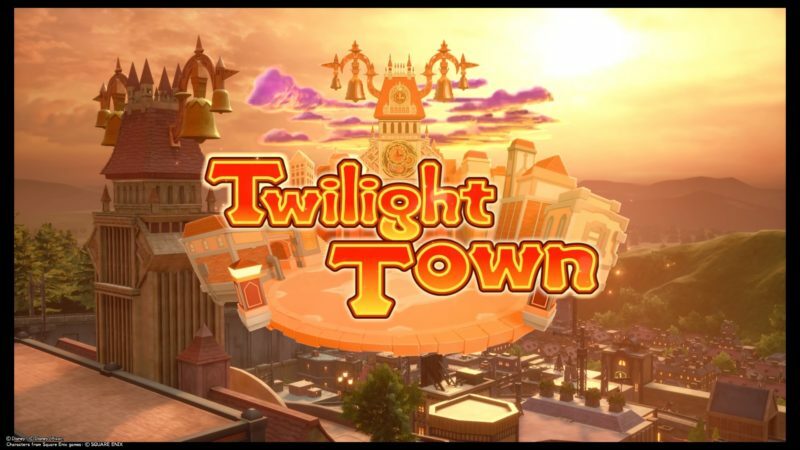 And that’s about it for Twilight Town! 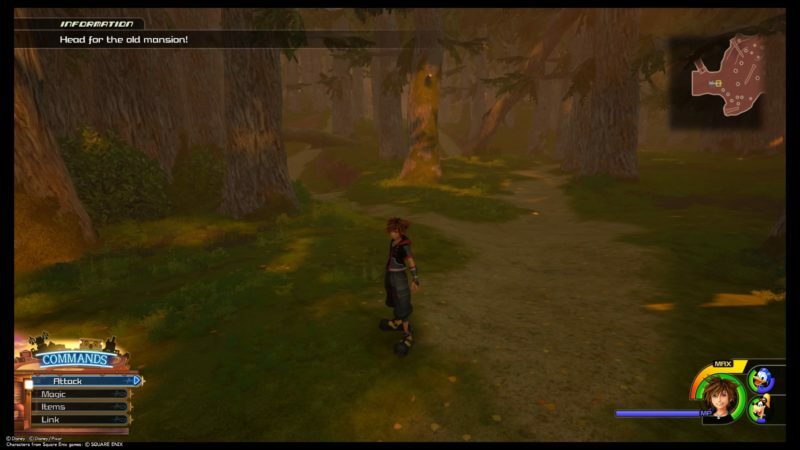 Head home to continue your journey to the next place. 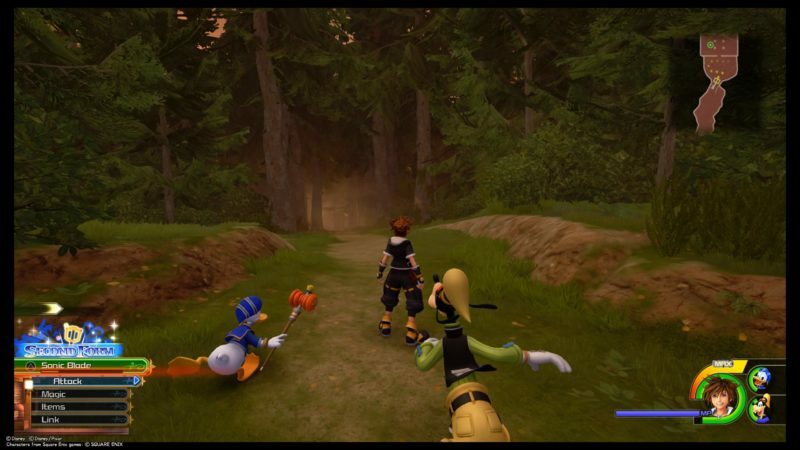 Hopefully this walkthrough of Twilight Town in KH3 is helpful.